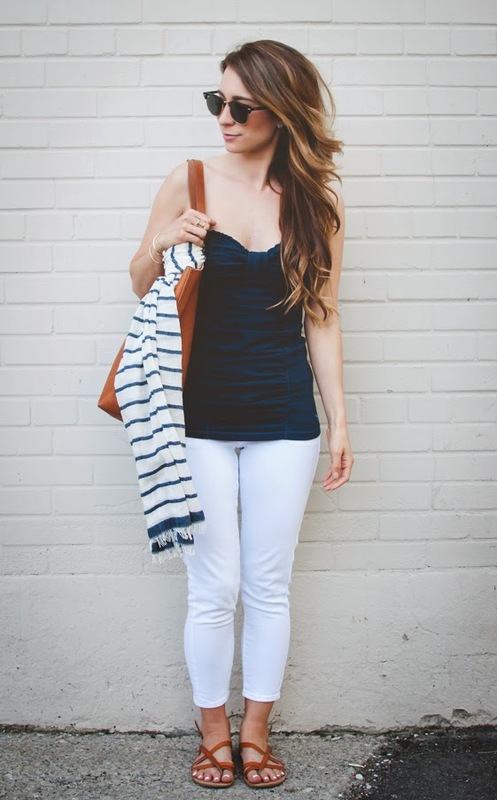 OOTD - Navy and White Weekend Basics | La Petite Noob | A Toronto-Based Fashion and Lifestyle Blog. I must sound like a broken record, but I can't help it - I absolutely love my Madewell transport tote! The colour is the most perfect shade of english saddle, and it can fit absolutely everything - this day in particular, it housed a cardigan, a straw fedora and a bottle of wine for the host of the party with room to spare! 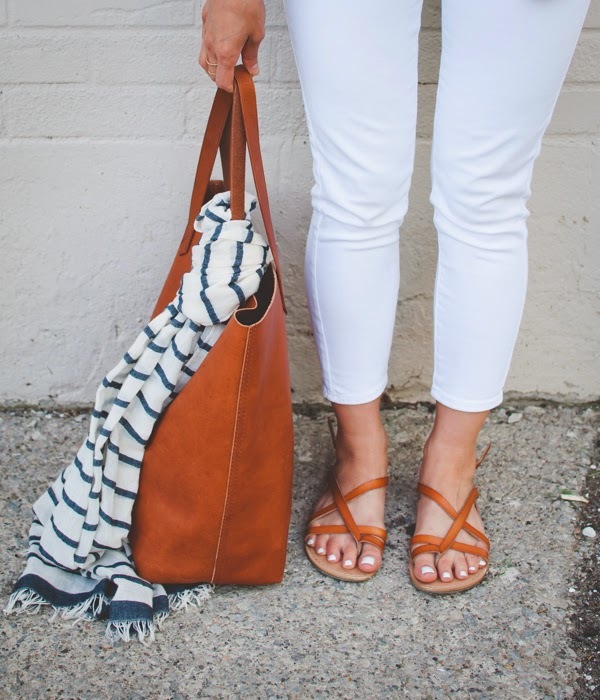 I like to change the tote's look by tying a different scarf around its handles - the scarves add versatility to the bag, and are good to have for a chilly summer night. 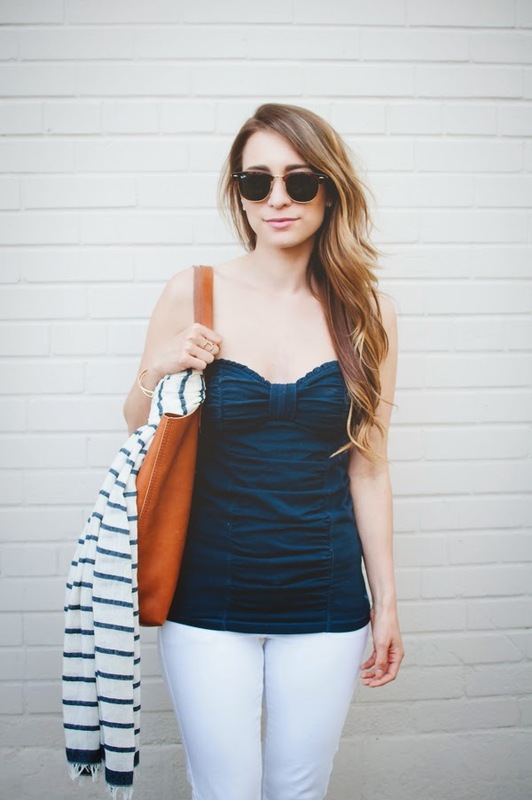 Those Ray-Ban Clubmasters look great on you! My weekend uniform in the summer typically consists of my bathing suit, haha. My family spends most weekends at our cottage by the lake, so if I'm not sunning, I'm swimming, and if I'm not swimming, I'm sunning. And if I'm doing neither of those, I probably still have my swimsuit on. C'est la vie! Yes, your summer uniform shoes put my sad little sandals to shame! I love it! This is THE summer outfit, you so cute! If you get the chance, please share your amazing post on my link-up today.